Clients facing commercial litigation rely on Alex’s practical approach to solving complex problems. Alex understands that an effective defense strategy is found in the details. From the beginning of each case, her aptitude for cutting through the noise creates a clear path forward. Overseeing document review teams of up to 15 people, she distills hundreds of thousands of data elements into the key components of a case. With this ability to synthesize information, combined with her passion for research, Alex efficiently crafts legal arguments during all stages of litigation. 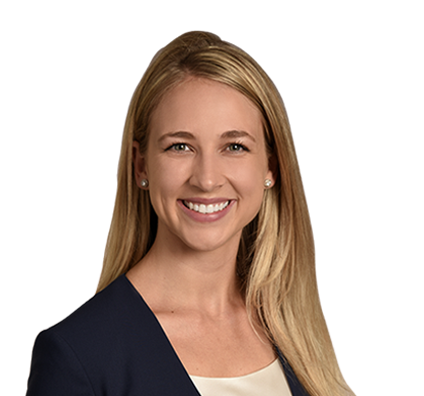 She joined the firm after serving as a summer associate in 2015 and 2016. Alex enjoys international travel, off-Broadway productions and professional sports. After living in Spain for a year as an undergraduate, she now vacations there frequently. Closer to home, Alex is a patron of the Dallas Summer Musicals program and a big fan of the NBA, especially the Oklahoma City Thunder. 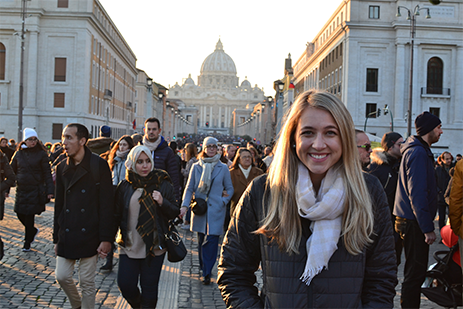 On her most recent visit to Spain, Alex made a stop in Rome to see the Vatican.